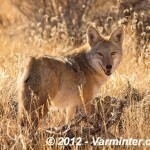 The Coyote is a mainly carnivorous member of the dog family. 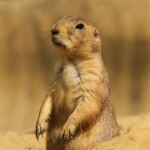 It is smaller than a wolf and less dangerous to humans. 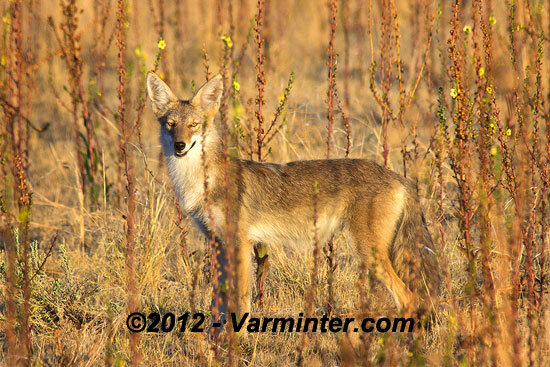 The color of the coyote’s fur ranges from gray to yellowish-gray, with white fur on their stomach and chest. 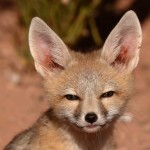 The coyote has large triangular ears and a narrow snout, giving it a distinct look that is something between a fox and a wolf. 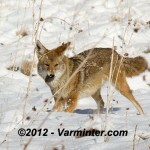 Coyotes have a keen sense of smell and use it when hunting small pray to detect their prey. 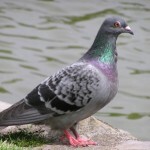 They also have a louder “voice” than dogs and wolves reaching up to 80 Hz in comparison to the domesticated dog’s 60 Hz. 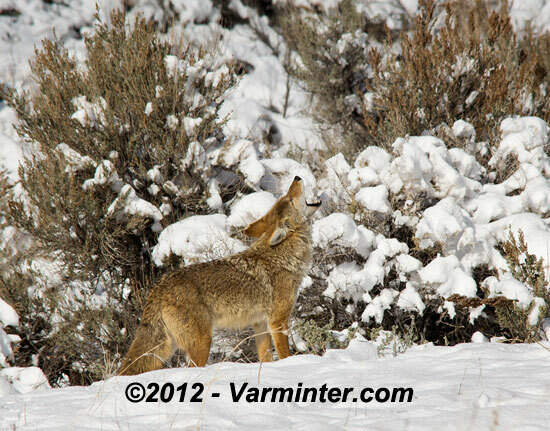 The coyotes are a very vocal species with many specific sounds and vocalizations used to communicate between them. 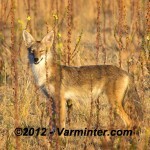 Coyotes grow to be 30-34 inches long (their tail not counted) and about 15-46 pounds in weight. The northern coyotes can be larger than the average southern coyote, with the largest specimen ever recorded being 75 pounds heavy and 5.7 feet long. fruit and vegetables. During spring and summer the Coyote will hunt in small packs formed by closely related family members, usually parents with their young. 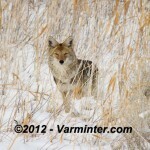 When hunting in a pack the coyotes will take on larger prey like deer without fear. 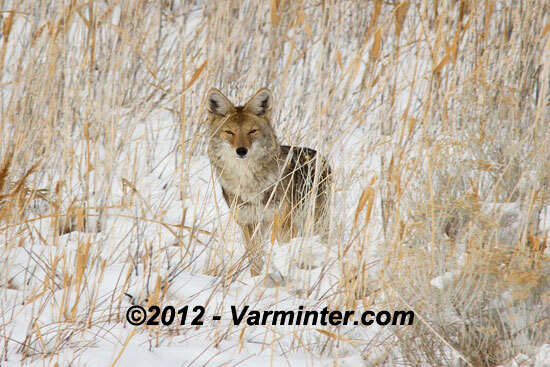 Winter is the time when coyotes hunt on their own, mainly because it takes them only half a year after birth to learn the hunting skill from their parents. 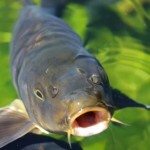 Breeding season lasts from February to April and during that time a male and female form a usually monogamous relationship for a few years and produce one litter every late spring. These pups will be fully grown within a year, in comparison to wolves that need two years to reach adulthood. Coyotes are extremely adaptable, a trait that can be seen from the immense changes their lifestyle has gone through due to pressure from the human population through the ages. 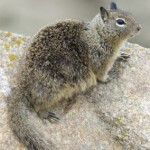 Once they were mainly diurnal, meaning that they were most active during the day like wolves, but now they have become mostly nocturnal. 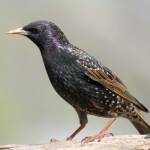 Also they used to colonize prairies and deserts, while now they live mainly in mountains, forests and even within suburban areas of large cities. 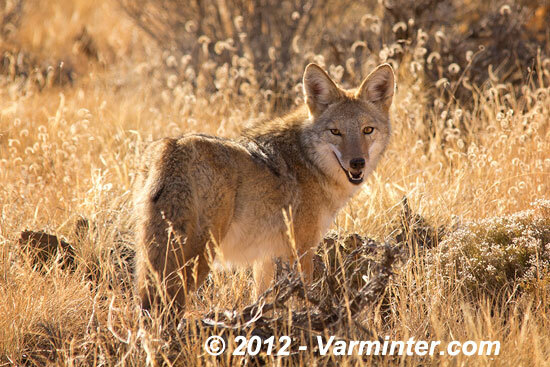 The Coyote is often considered a Varmint because they feed on livestock when they can and even prey domestic pets. 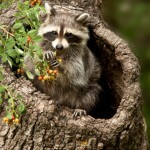 When there is a coyote infestation in the area, farms are certain to lose many of their young animals (like calves, lambs and chicken) and sometimes even adult livestock to the coyote. 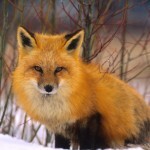 Since coyotes are on the “least concern” list of animal rarity it is often allowed to hunt coyotes down to a certain number in areas where livestock and farming animals are bred. 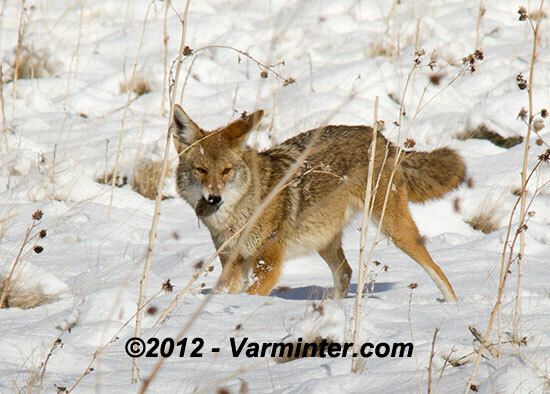 Something interesting about coyotes is that they form symbiotic relationships with badgers. 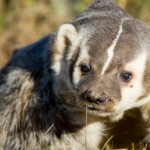 The badgers hunt small rodents while digging and the Coyote hunts them outside their burrows, which makes the cooperation of these two species mutually beneficial and wherever badgers and Coyotes band together it is certain that the rodent populations will suffer. 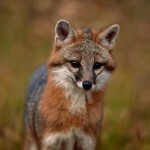 Coyotes can peacefully coexist with foxes in the same area if they need to. Coyotes occasionally attack humans, but are less dangerous than wolves due to their smaller size. Still it is advised not to take a coyote lightly and to avoid close contact with this wild animal. much like their domestic parent. 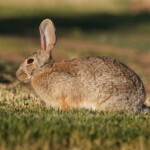 This makes them a more dangerous threat to humans and especially livestock than coyotes. Wolves are the coyote’s main predators after humans and whatever area has wolves is certain to have less coyotes. 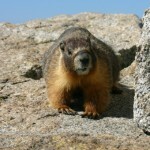 This can be seen in Yellowstone Park where the reintroduction of wolf populations reduced the local coyote population by 50% within a few years. 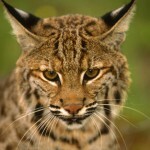 Aside from wolves, coyotes may occasionally be hunted by cougars. Starvation, diseases, such as mange and human intervention in their habitats are the leading causes of coyote deaths though. 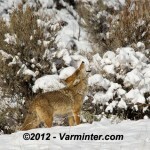 Still the coyotes enjoy a healthy and stable population despite all this. Coyotes live on average between 10 and 18 years in the wild with older specimens recorded in captivity.